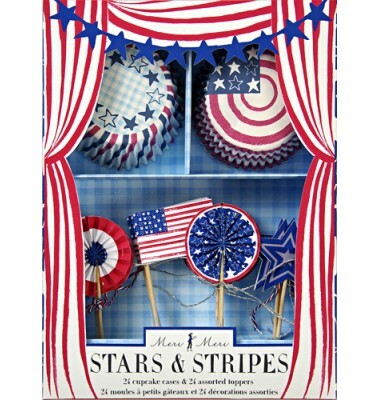 A cupcake kit for a patriotic celebration with two styles of bake cup and 4 styles of cake topper all decorated with the famous stars and stripes in red white and blue. The cupcake kit comes in a theatre style presentation box. 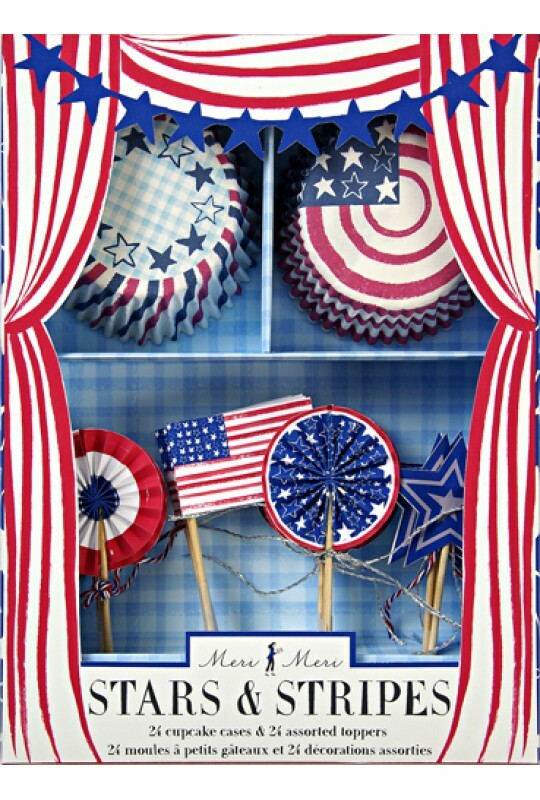 Each kit contains 24 cupcake cases & 24 cupcake toppers.